Can't believe is already Wednesday! 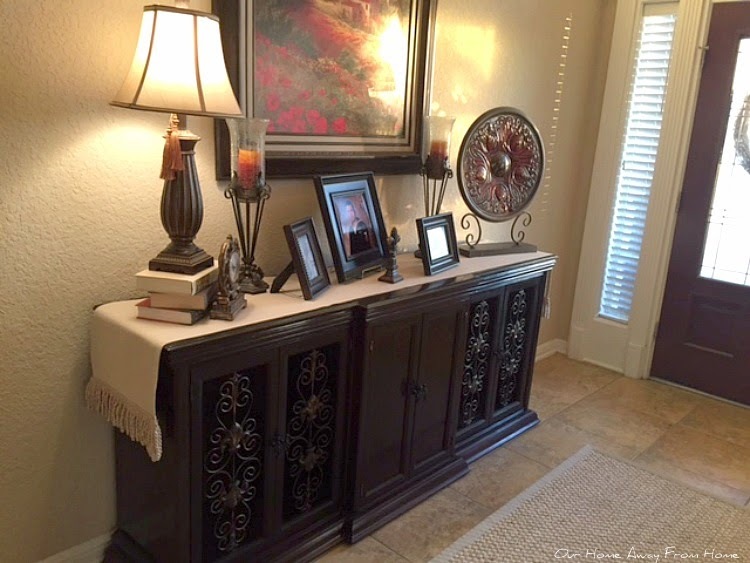 In the last few weeks, I have made some small changes around our home. 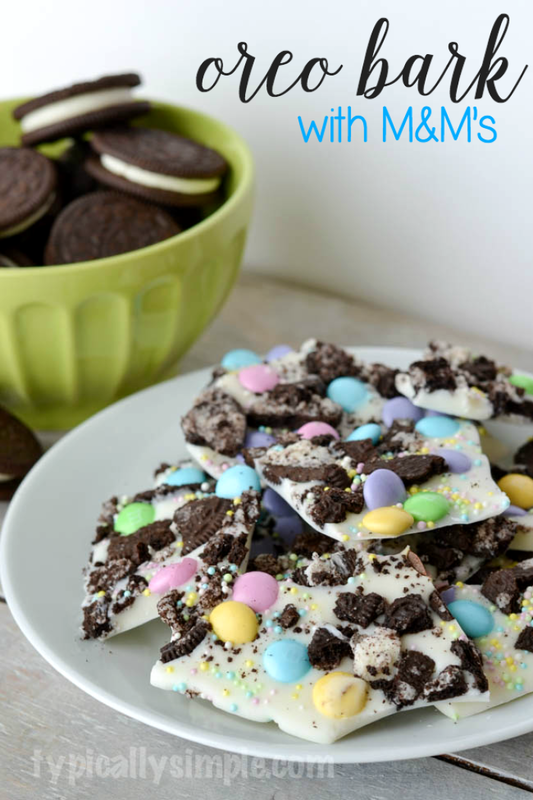 I will share them with you as I have a little time to put together a post. I hope everyone had a wonderful weekend. Ours was rainy, so after the normal Saturday morning errands, we spent it at home cooking some nice meals, spending family time together and enjoying this little guy, who, at only six weeks old, is the one giving the orders around here. 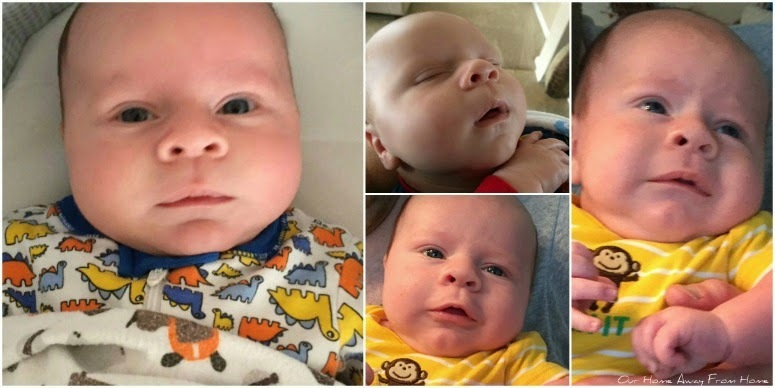 This past week, he started smiling when you talk to him and he sure has everyone wrapped around his little finger. Lets take a look at a few of last week most viewed. Penny at Penny's Vintage Home gave us a tour of her gorgeous greenhouse. 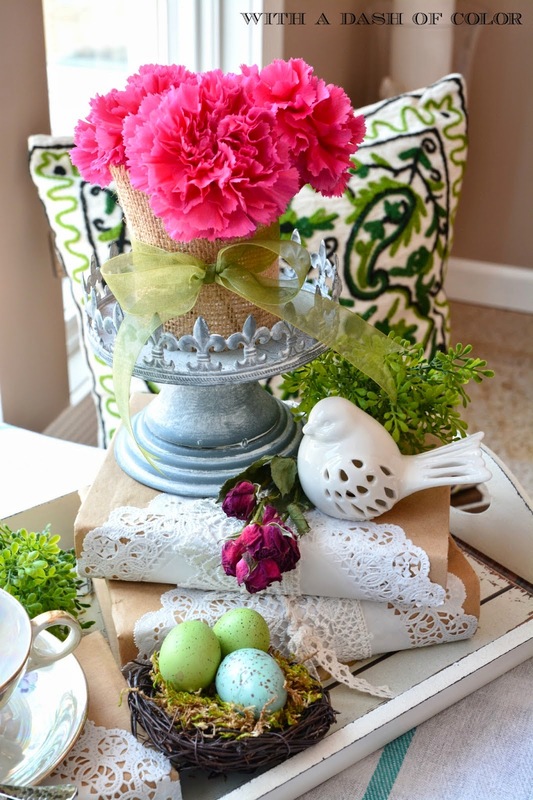 Poppy at With a Dash of Color created such a beautiful Spring Tray Vignette. 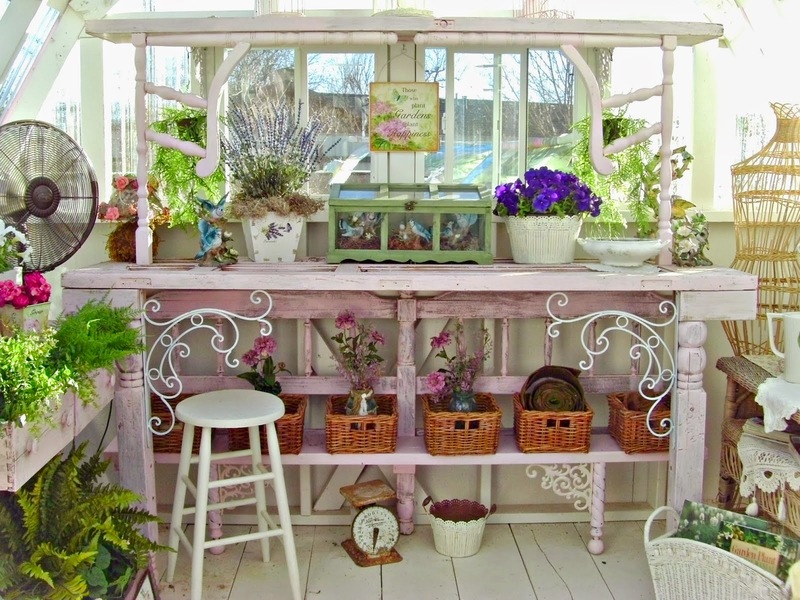 Debbie at Debbie-Dabble decorated her front porch beautifully for Spring. 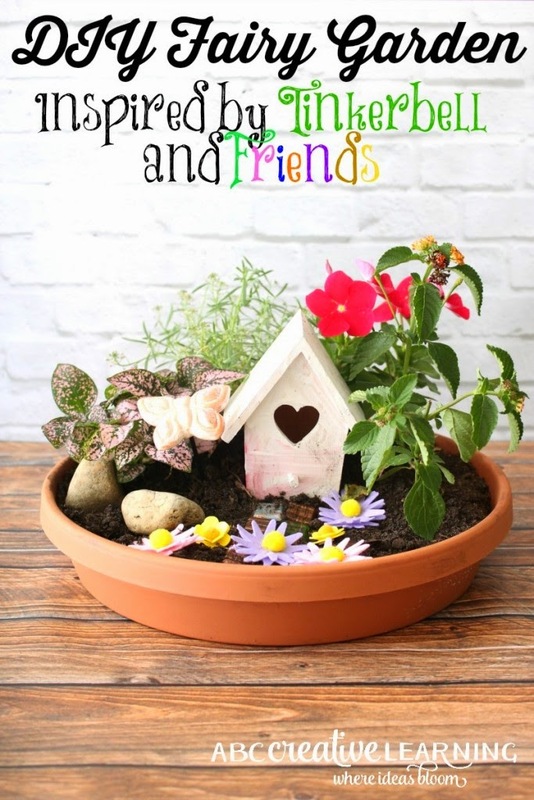 Victoria at ABC Creative Learning made such a cute Fairy Garden with her girls. 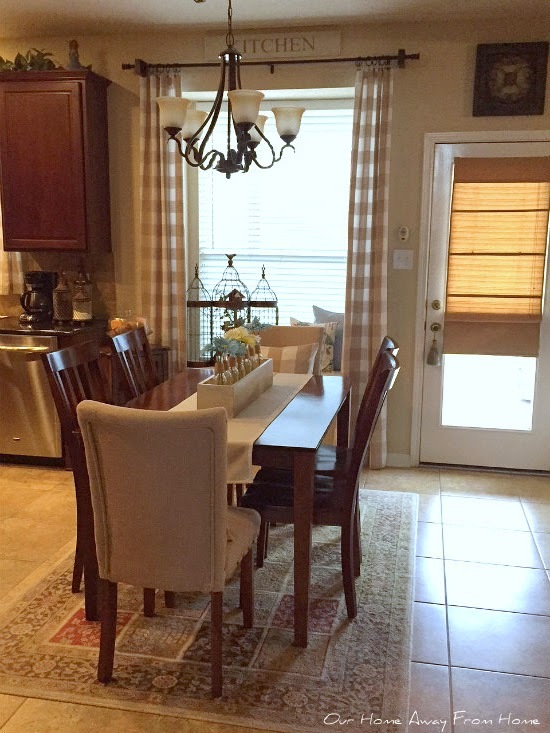 Jody at Southern Seazons shared with us her gorgeous Tuscan dinning room. 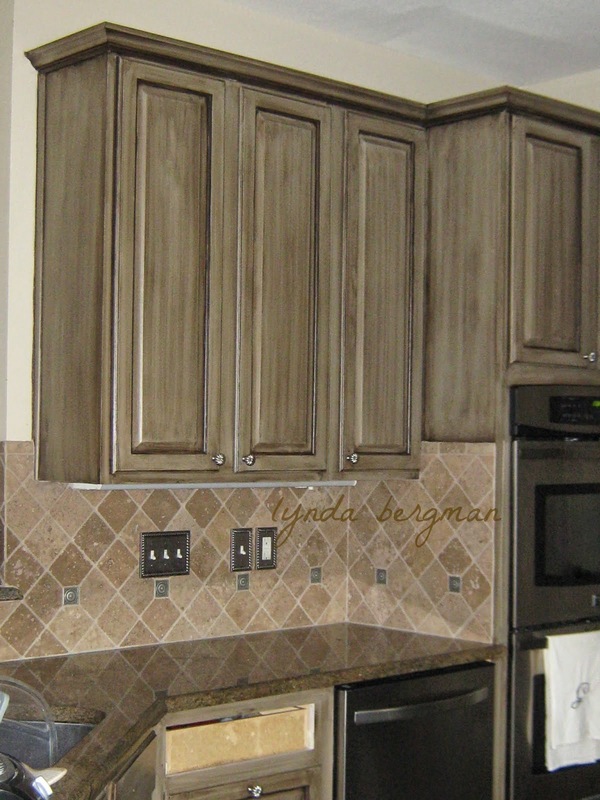 Lynda at Lynda Bergman Decorative Artisan did an amazing job refinishing a client's kitchen cabinets and stair railings. Now, lets see what you have been up to this week! 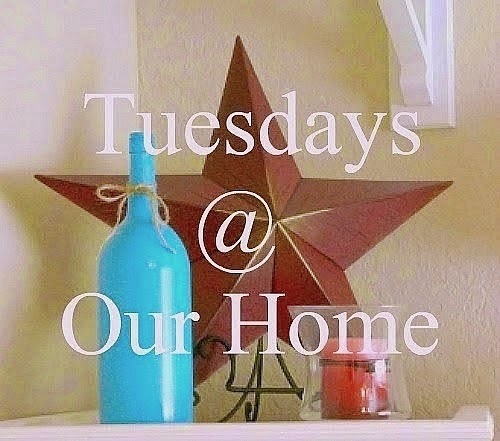 You can link up any posts that are home decor, gardening, crafting, painting, sewing, cooking or DIY related. NO Etsy shops or link parties, please. And although there is really no other rules to join, I would love if you start following my blog. seeing the light at the end of the tunnel. 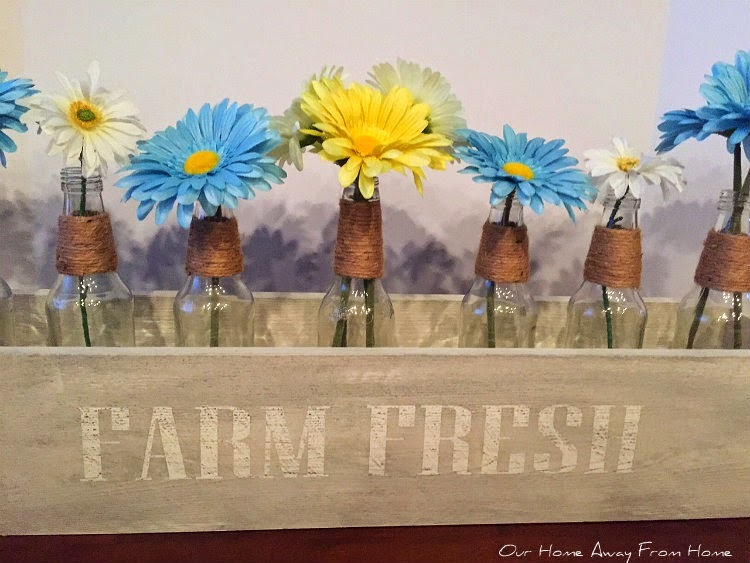 One of the crafts I finished this week was this bottle crate I have been wanting for a long time. 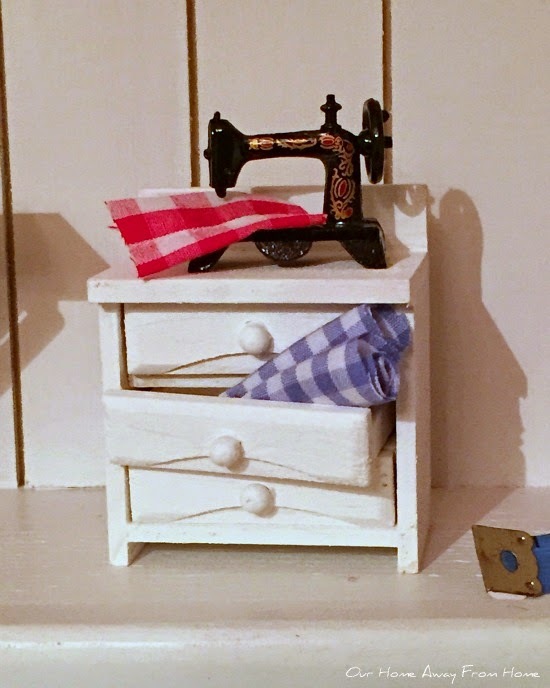 I am finding it easier to get back into my sewing and crafts. I have been wanting to make a shadow box for the craft room and this past weekend, we were finally able to build it. I apologize about the quality of the pictures. My camera is acting up and I used my iPhone this time around. This party just gets better every week. It makes me so happy to see you all stop by and link every Tuesday. Thank you so very much for the support you give me. 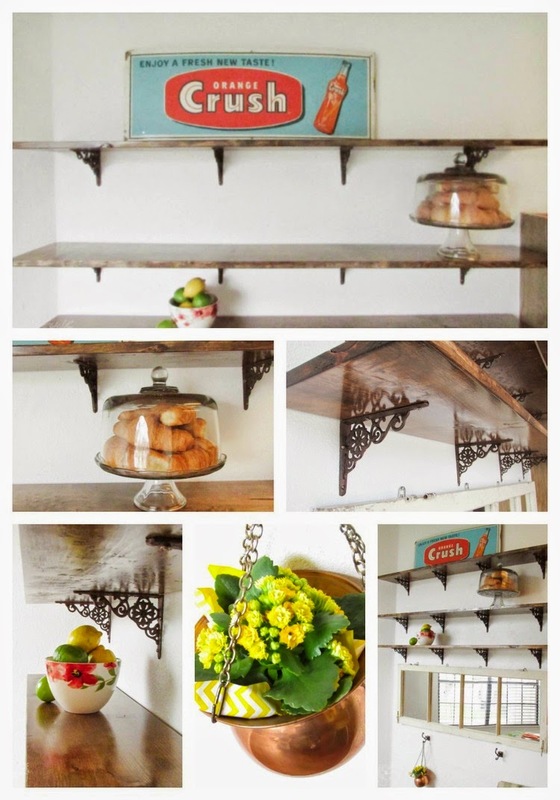 Lets take a look at some of my favorites links from last week. 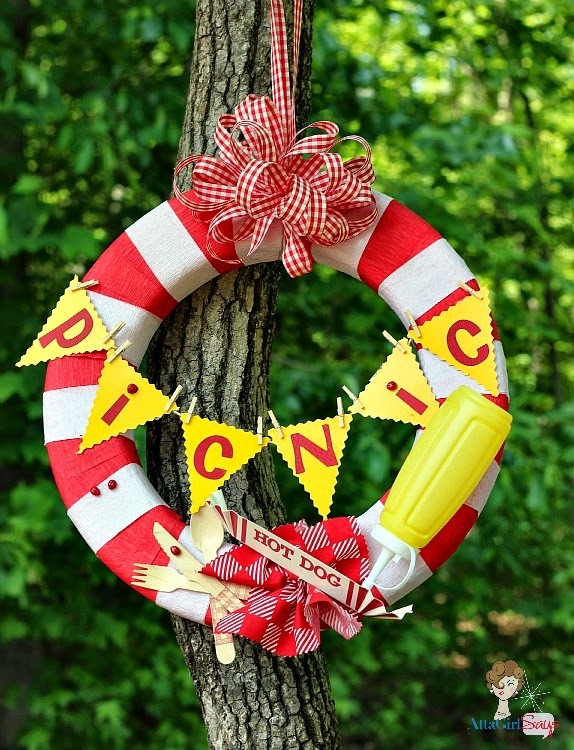 Amy at Atta Girl Says made a gorgeous picnic wreath. 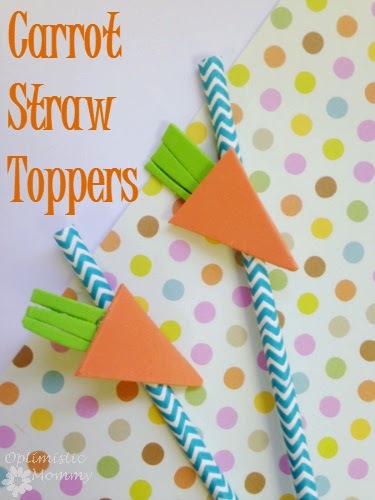 I love this project and the tutorial she shared on how to make your own. 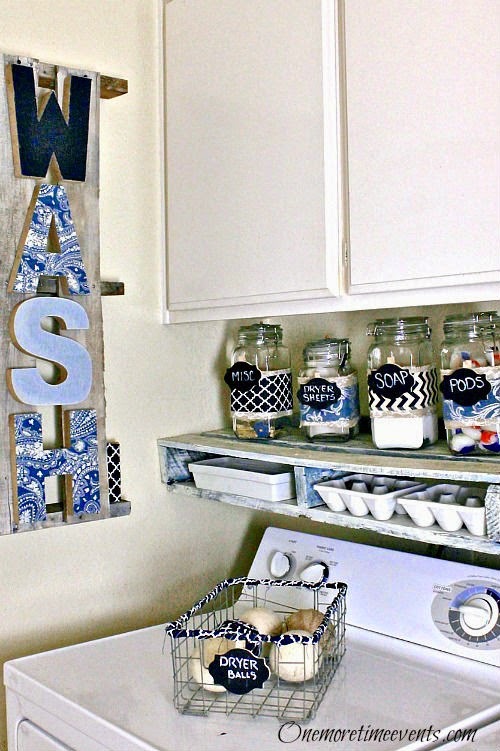 Tammy at One More Time gave her laundry room a makeover using pallets. 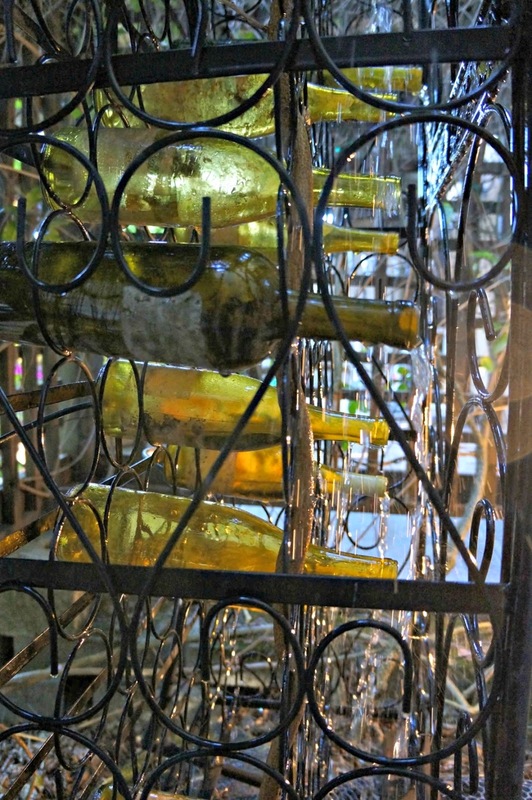 Linda at Life and Linda shared a tutorial on how she and her husband made an outdoor wine fountain. 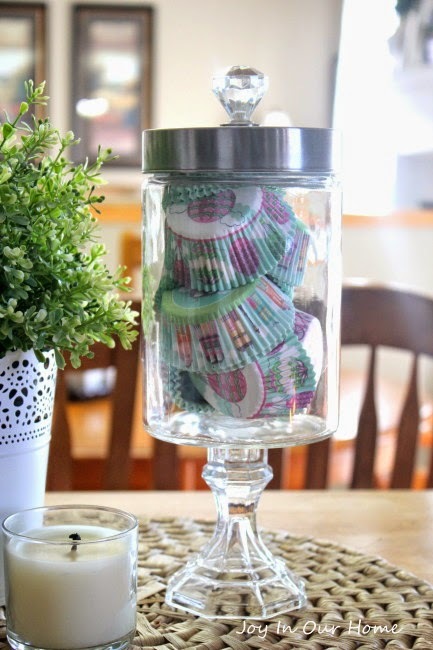 Apothecary jar using dollar store items. 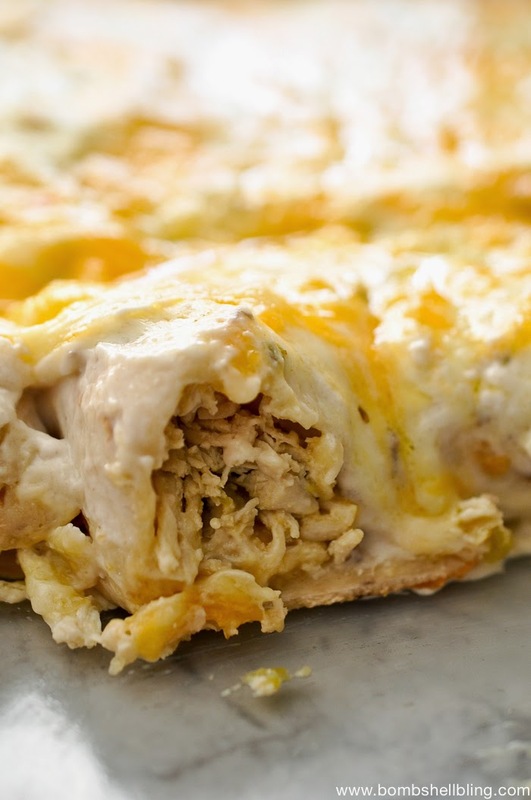 Sarah at Bombshell Bling shared an amazing recipe for Pepper Jack Chicken Enchiladas. 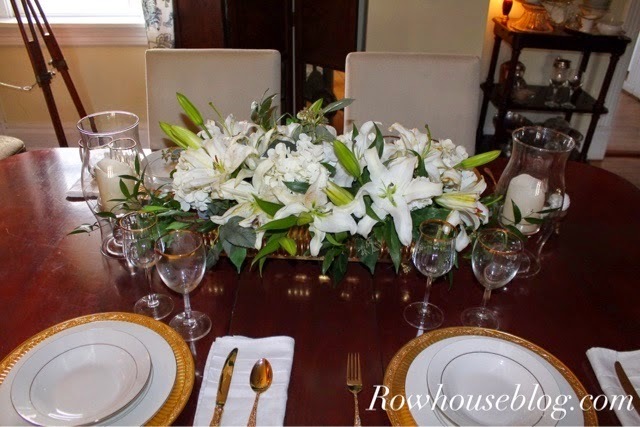 Ramon at RowHouse Blog created a gorgeous Lily tablescape. I finally got around to making a few changes to our family room mantle. for the Spring and Summer months. a good time to make a few changes. I hope you had a beautiful weekend. Before we start another great party, lets take a look at last week most viewed links. 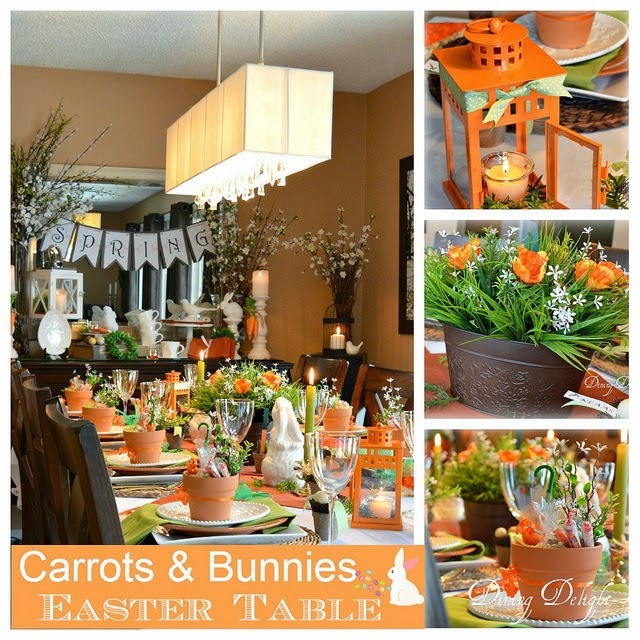 Lori at Dining Delight put together a gorgeous Easter table. 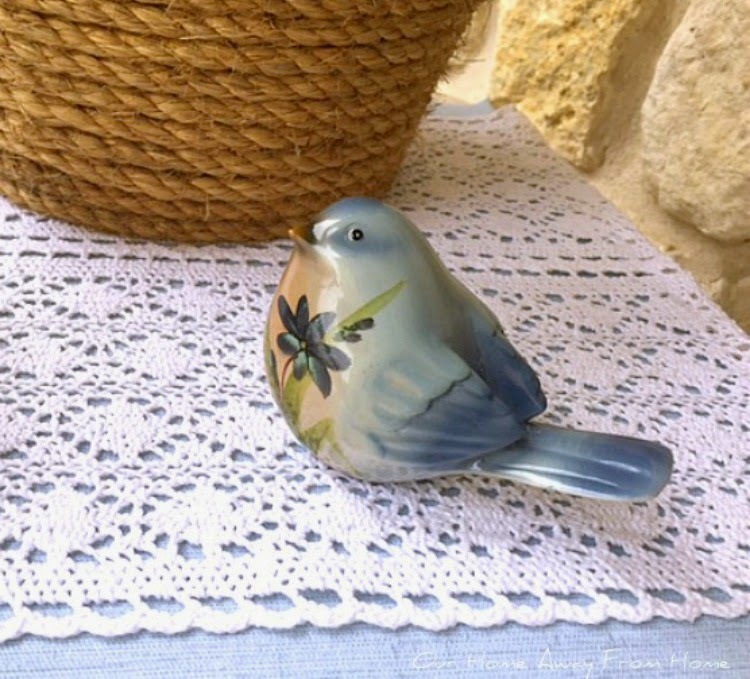 Every detail is just perfect! 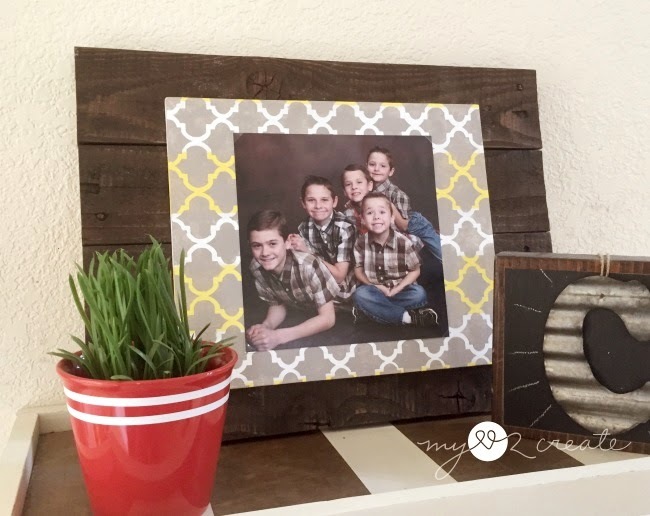 Mindi at My Love 2 Create made beautiful pallet and scrap wood picture frames. 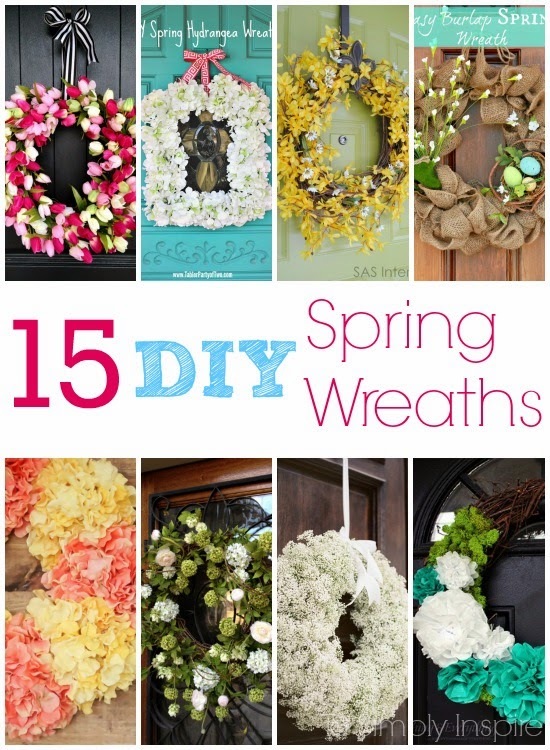 If you need help making a Spring wreath, all you have to do is pay a visit to Sherri at To Simply Inspire. With the nicer weather finally here, we have been trying to clean and spruce up our front yard. We haven't had much free time lately, so we are taking care of it little by little. nothing much, just a bit of Spring colors. 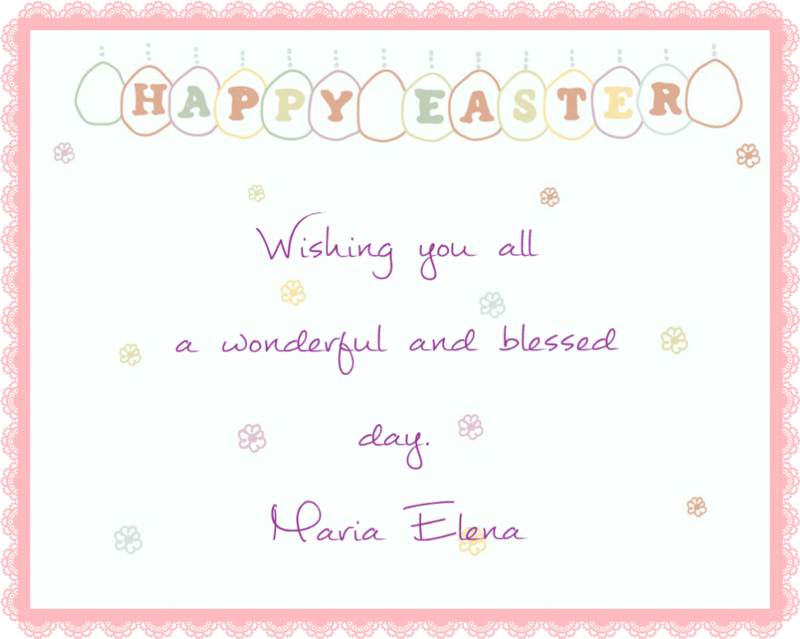 I hope you had a wonderful Easter! Lets take a look at some of last week links. 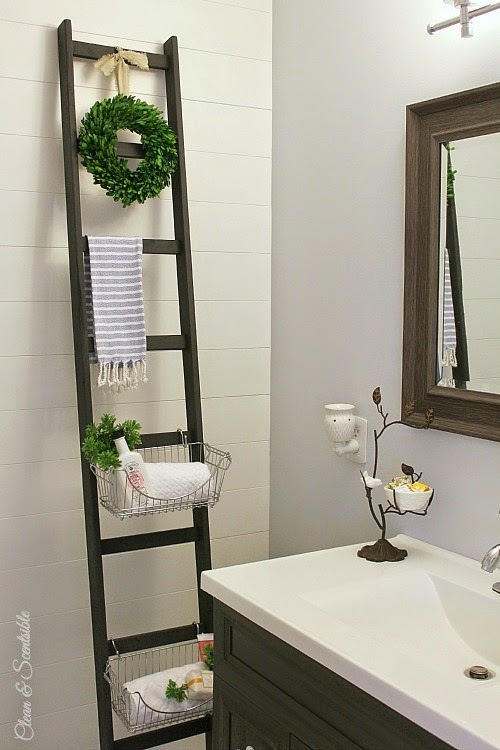 Jenn at Clean & Scentsible made a beautiful storage ladder. 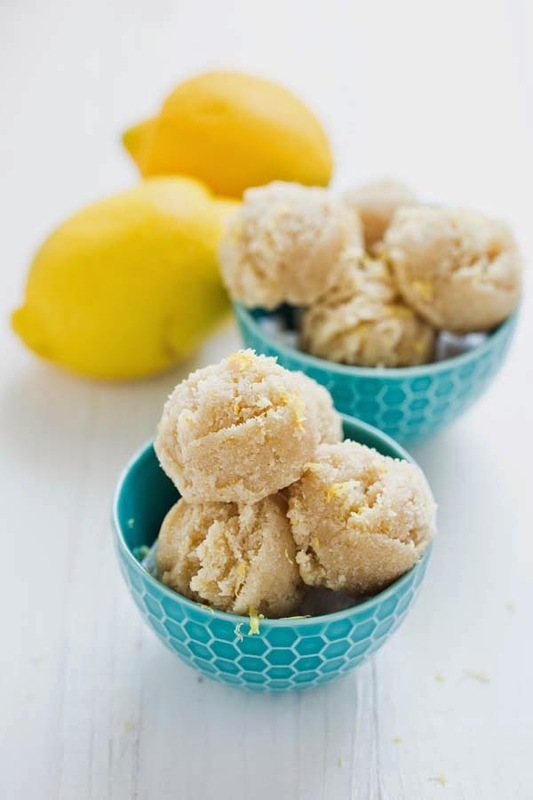 You just have to see her post and great tutorial. 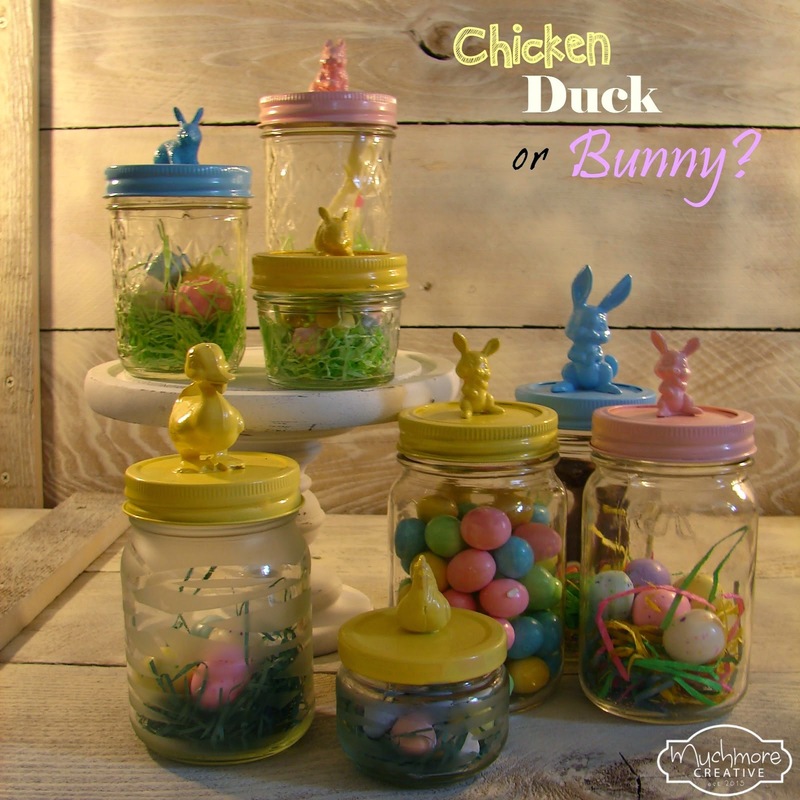 Brenda at Much More Creative made the cutest Spring jars. You have to check out her tutorial. 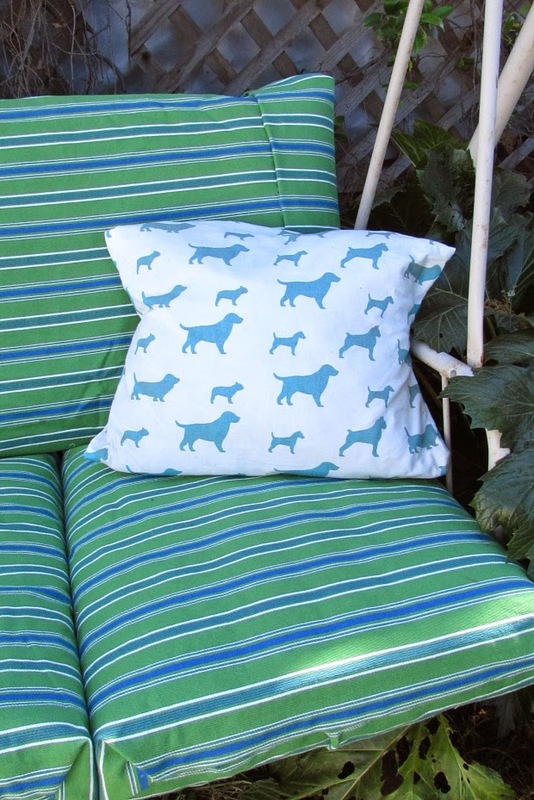 Pamela at Home On The Corner recovered her outdoor swing cushions. Love how they turned out! 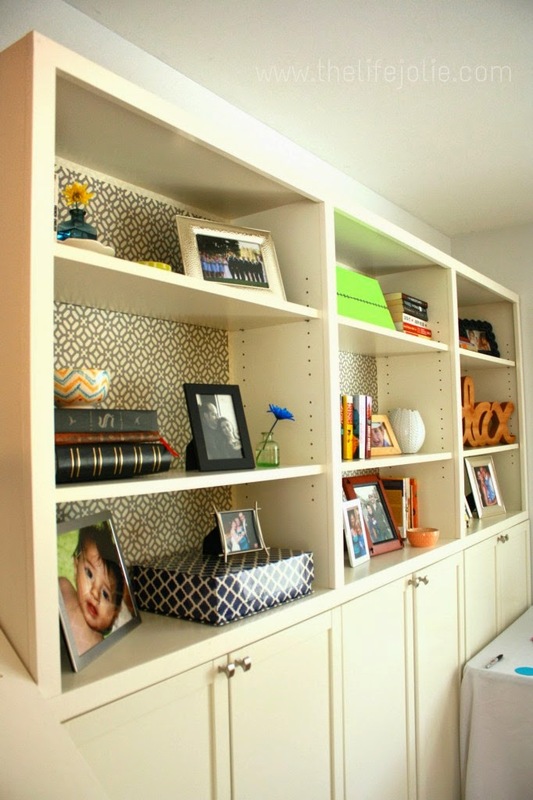 Jessy at The Life Jolie used fabric to line her shelves. a very long one for our entrance table.